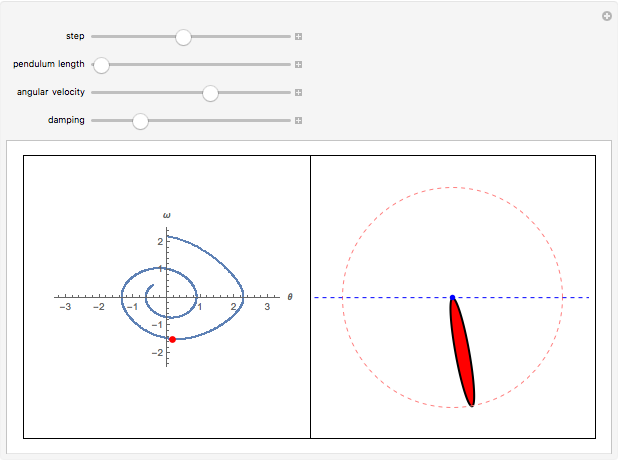 This Demonstration shows the motion of a pendulum obeying a classical pendulum differential equation with damping proportional to its angular velocity. 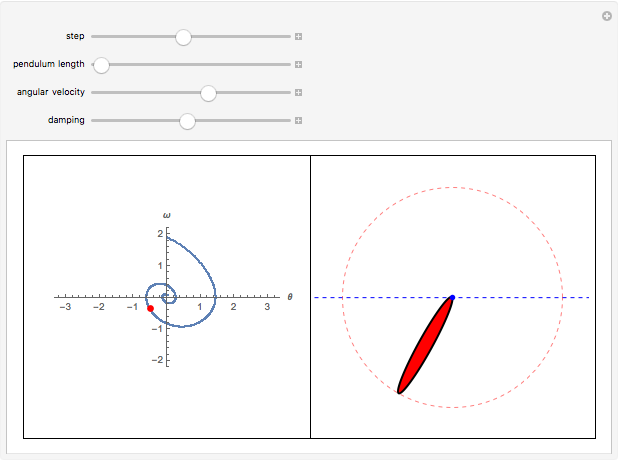 The visualization contains an approximate solution to the simple pendulum equation (with damping) , where is the pendulum angle, is time, is a length parameter, and is a damping factor. 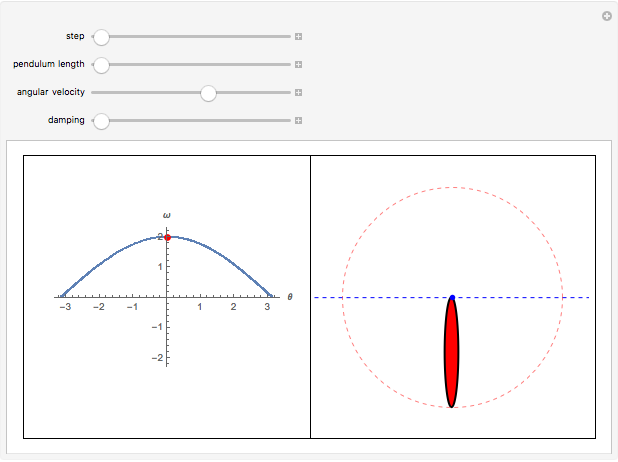 The diagram on the left is a phase portrait of the system, where the horizontal axis is the angle of the pendulum and the vertical axis is the angular velocity. Bartosz Naskrecki "Motion of a Simple Pendulum with Damping"